Happy dad holding small daughter in arms of the sun. Dad walks with baby in meadow at sunset. hd00:33Baby is holding young mother in her arms and smiling kisses her cheek at sunset of golden sun. Slow motion. 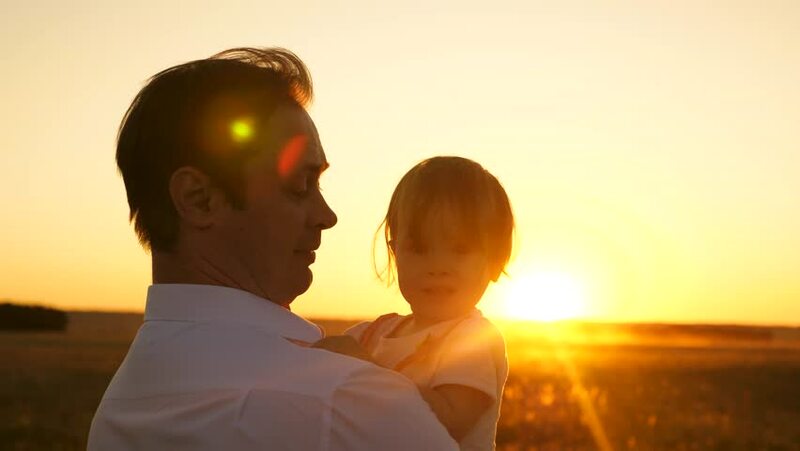 hd00:33Dad tosses baby, kisses her cheek and smiles at sunset of red sun. Slow motion. hd00:25Mom holds small baby in arms at sunset golden evening sun and smiles. Slow motion.